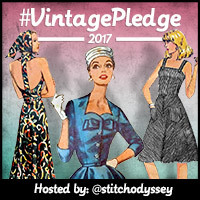 Like most people of my vintage, I started sewing very young, at my mother’s knee. 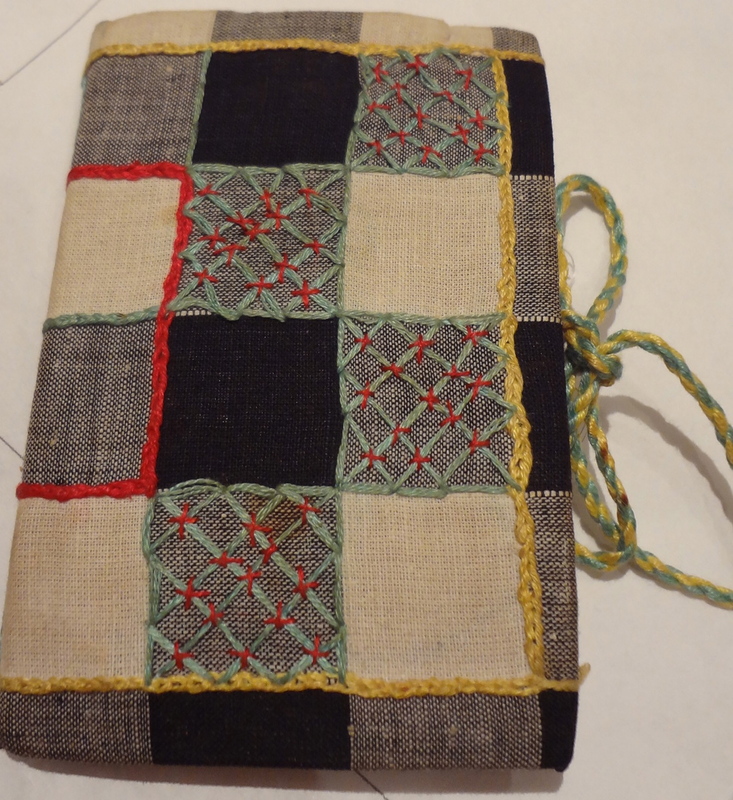 I thought I would post a photo of this needle case, the first thing I made when I went to boarding school at 11. This means that it is 50 years old! Still looks ok, so I am quite pleased. I bet that lots of people have got things just like this that they painstakingly (and in my case, quite carelessly) made at school. If I ever get any stalkers followers, I might get some comments about this. I would like to think that I’ve come a long way, but I am not too sure! My aim is to make things where people don’t ask me whether I’ve made them! I have been successful in this aim with Archie’s shirts – people ask him where he gets them. 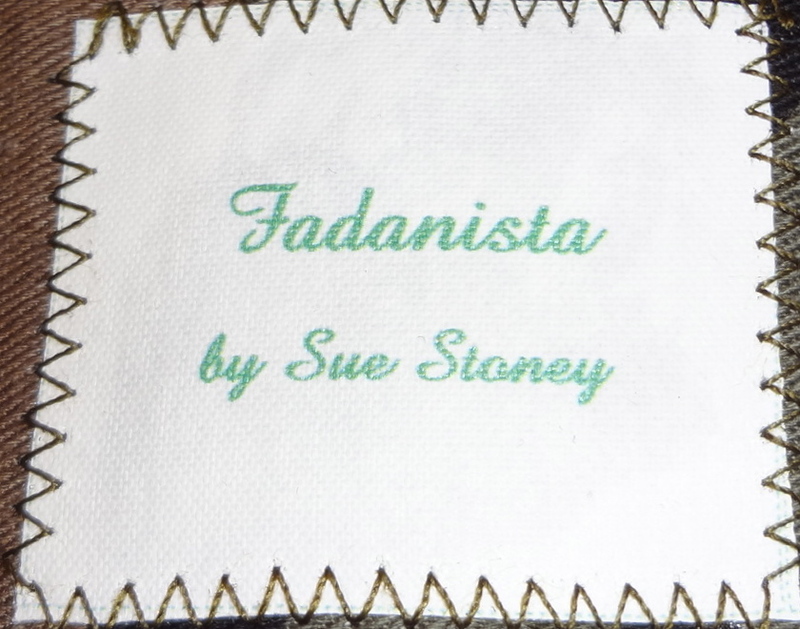 He tells me that they even check the back for the label, so I’ve had a label made! Sounds like we’re about the same age – only I don’t remember getting to sew until I was in high school. At that time I thought I’d never love sewing because it took a whole semester to make one little apron or dress. Ha Ha! How wrong I was!! I went to a boarding school in England (at 11 – how mean is that??) and it was high school then. I can remember taking forever to make things because every step had to be checked. We all had to wait while the teacher checked that our patterns were on the straight grain. I still check that step 3 times. Yes, I have a 50+ year old needle case too, still in use. Can’t say I learned at my mother’s knee though, sewing’s never been her thing. Love the label, something I definitely want to do. Most handmade work has a tie or pin on label so the maker’s identity is lost as soon as it’s removed which is a great shame. You need to put up a photo of your needle case – is it the same? Gingham encased cardboard?? Inspired by you I’m seriously considering starting a blog but don’t know when I’d find time to write it. Which makes me realise how much my productivity must have fallen off since “the old days”! hehe! It literally takes a few minutes, but thinking up the titles is the tough bit. I always come up with a good one the day after I post! Next Post Who wears the pants?